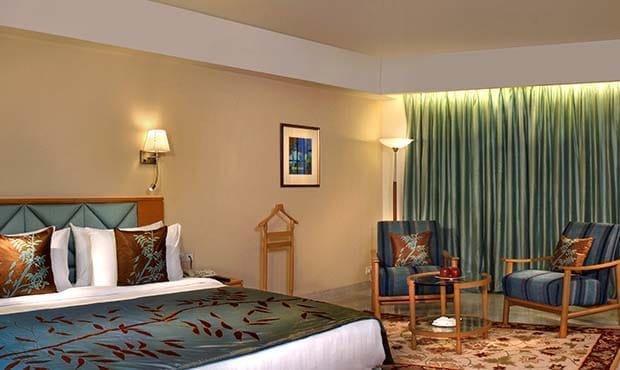 Our Standard Rooms aims to offer a blissfully relaxed stay in a contemporary ambience. The room comes with an option of either a king size bed or twin beds. Fortune Club Rooms are designed to offer the guest a little extra of everything. These rooms provide an upscale product/service comparable to the “Best in Class” rooms in the city. Fortune Park LakeCity offers a dedicated Club floor to help you unwind or stimulate the mind with a mini library, chess table, refreshing tea lounge, and even a card table! The Fortune Club Lounge is elegantly done up with comfortable settings and can also be used by the Fortune Club Room guests for impromptu meetings. The Suites feature a separate living area, private work station and a spacious bathroom.